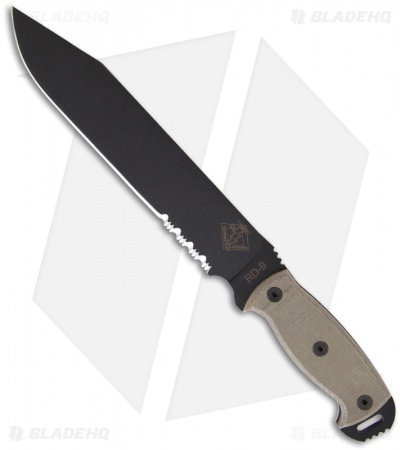 The Ontario Ranger Series RD6 Ready Detachment knife has a 5160 steel blade with a flat ground 8-1/2 inch partially serrated cutting edge. The black texture powder coated full-tang blade is 1/4 inch thick and extends past the black Micarta scales, giving the user a strong pommel and wide hole for lanyard attachment. 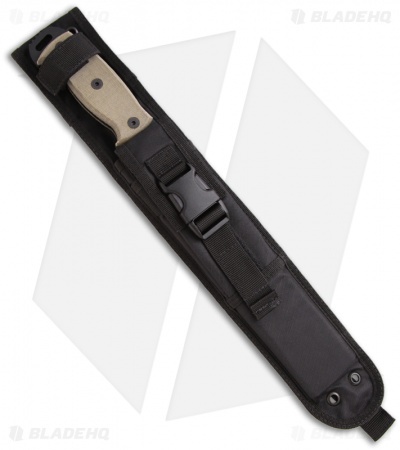 Includes a MOLLE compatible black nylon sheath with external pocket.